1. Lights! Camera! Action! Don’t Forget the Lights! When shooting indoors, make sure there is enough light. Turn on all the room lights and use an external camcorder light if possible. When outdoors, make sure the sun is shining on the face of your subject to avoid backlighting and silhouettes. Avoid walking with the camcorder. Buy the best tripod that you can afford and make sure the head is well lubricated to avoid squeaking/clicking during panning. Smooth, slow and steady movements are the key to good video. Avoid fast and jerky moves. They can make your audience seasick. When shooting an event from a distance (school play, football game) use the widest shot available with occasional zooms. Also, turn off the digital zoom on your camera and just use the optical zoom to avoid grainy/pixilated video. Studies show that people would rather watch bad video with good audio than good video with bad audio. The built in omni-directional microphones on most camcorders are designed to pick up sounds surrounding the camera. These also include camera, tripod and operator noises which you may not want on the video. Consider an external shotgun mic to focus the direction on the subject or a clip on lavaliere mic if doing interviews. 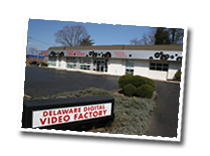 Many cameras offer slower tape speed settings that allow you to capture more time on one tape. This may seem handy, but in reality it decreases the quality of your video by squeezing more data onto the tape. In some cases your tape may not even play back in another player. It’s always best to use the standard play (SP) setting and just start a fresh one when you run out of tape. Read about VHS tape speeds and why you should always use SP mode. Same concept applies to MiniDV and most harddrive and media card cameras have adoped the concept. Always use the highest quality setting. Some camcorders offer a digital still function that freezes the current scene for 5 seconds (while still recording audio) and then continues recording video. This is risky because if you take a bad “picture”, you are stuck with 5 seconds of it on your tape. You’re better off carrying a digital still camera if you plan on taking stills while shooting video (just learn how to operate your still camera with your left hand or use a tripod for the video camera). That way you have high resolution stills that can always be inserted while editing your video. The time/date stamp is a handy way to remember when you shot a video. Unfortunately, many people leave it on for the entire video. This is unnecessary and becomes distracting. Instead, just showing it for a few seconds at the beginning of each scene should be sufficient. Also, make sure the time and date are set correctly on your camcorder. Another good way to remember when and where you were is to verbally announce the date & location and take some short shots of signs/landmarks. Many camcorders have neat digital effects (such as black & white, sepia, inverse, paint) that make your video look different. These are great, except some people forget to turn them off and then wonder why their entire tape is black & white or negative. Unless you have a specific goal in mind, it’s best not to use the digital effects, especially since you can go back and add them while editing later. Make your video more interesting by shooting from a different perspective. While videotaping your kids, try taking a knee and record from a lower elevation. In a large auditorium, stand on a chair in the back to position yourself above everyone (with the camera on a tripod, of course) and avoid the “back of the head” shot during the entire performance. In some situations you may even want to place the camera near the ground and shoot low. If you like taking video, you can learn a lot from watching TV shows, movies and sporting events. Pay attention to the framing of the scenes, the set lighting, the cameras’ interaction with the actors, and the editing. Some dramas are well known for their dark sets, fast zooms, tight framing and quick cuts, whereas most sitcoms are well lit, colorful, loosely framed with a mix of wide and medium shots. With the variety of robotic and hidden cameras in use today, professional sporting events are an excellent way to see different vantage points in action. 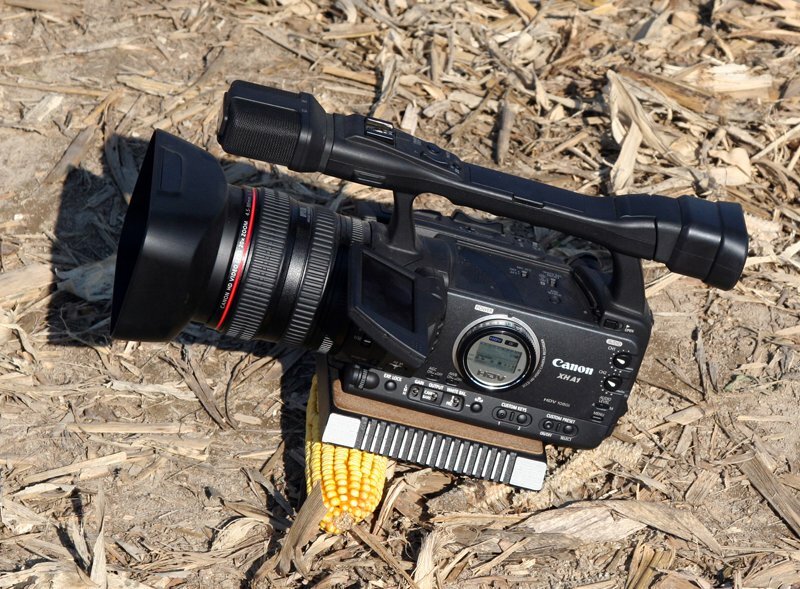 Be creative - even a corncob can be used to stabilize a camera in a pinch.